On March 10, 2016 Berkeley Zoning Board approved a zoning and general plan compliant proposal to tear down an existing single family house and build three single family houses in its stead. The approval was appealed to the Berkeley City Council, who subsequently denied it in violation of the Housing Accountability Act. CaRLA stepped up to assist Cristan in fighting back. 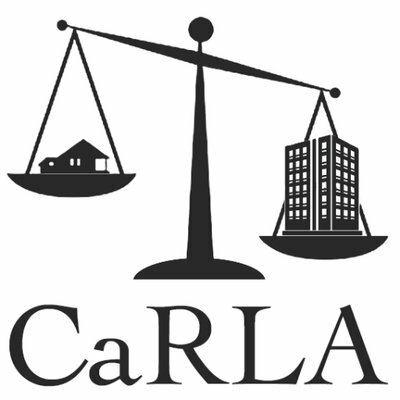 1310 Haskell St was CaRLA’s first Berkeley case, and first time providing aid to a small homeowner. Cristan was seeking to add two additional units to a lot containing one in a neighborhood of apartment buildings, duplexes, and two story single family homes. March 10, 2016: Berkeley Zoning Board approved a zoning and general plan compliant proposal to tear down an existing single family house and build three single family houses in its stead. The approval was appealed to the Berkeley City Council. July 12, 2016: Berkeley City Council upholds the appeal, denying the project, contra state law. October 21, 2016: Alameda Superior Court orders the city to approve the project. February 28, 2017: Berkeley City Council re-hears the project. Despite the order the Council had signed and over the objections of the city attorney, the Council voted the project down again. May 25, 2017: CaRLA asks the court to enforce the previous order by filing a second lawsuit. July 31, 2017: The court orders Berkeley yet again to approve the project, or else. September 19, 2017: CaRLA prevails! The City of Berkeley finally granted its approval of the project. All of the parties agreed that Cristian would get his permits and we would get about $45,000 in legal fees from Berkeley. This is another Order, clarifying the one from 10 days ago. The project is going to go back to be heard by Berkeley City Council, but the judge clarified that if she sees us again, she’ll order the permits granted. We won! The judge agreed that Berkeley illegally disapproved the houses … AGAIN. The remedy is that the houses are going to go back to Berkeley City Council to be reconsidered. This is where Berkeley argues that we are wrong and Berkeley shouldn’t have to approve the three houses. Here is another declaration, this one by Berkeley’s land use planning manager. It has a nice appendix showing how much housing Berkeley entitled and built over the last 5 years. Also, none of this is relevant for the lawsuit. This is funny document. In this document Berkeley’s Manager of Housing Services outlines all of the wonderful programs Berkeley has to protect or create affordable housing. Of course none of this has anything to do with whether they broke state law. This document is more of what you probably expected to read. It has a narritive, and cites laws and cases in support of our Motion. We filed a new lawsuit to cover our bases. Four months later, Berkeley City Council finally reheard the proposal for 3 houses at 1310 Haskell Street. Despite the order the Council had signed and over the objections of the city attorney, the Council voted the project down again. The City of Berkeley capitulated immediately. The city attorney agreed that Berkeley had no defenses, was clearly acting contrary to state law. The parties signed an order where the City agreed to reconsider the decision it had made, and make a new decision, in compliance with state law. CaRLA filed a petition in Alameda County Superior court asking the Court to force Berkeley to follow the state law. Berkeley’s Zoning Adjustment Board produced a staff report recommending approval.